Long cold nights are for falling in love. Indeed, they are. 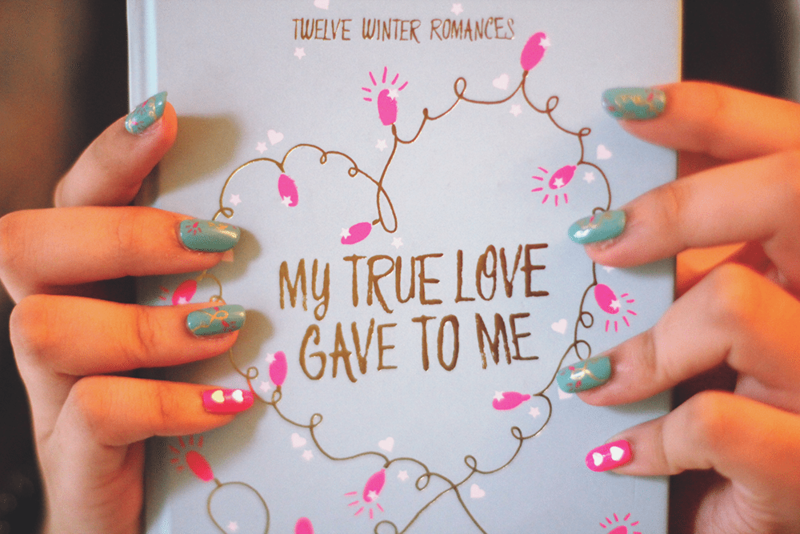 Having read only very few winter holiday YA books, Let It Snow and Dash & Lily’s Book Of Dares as the most memorable, I was thrilled to hear about My True Love Gave To Me- a 12 short story anthology of YA winter romances. Not only did the holiday theme entice me, it was also the fact that most of the authors in the anthology were huge favourites of mine (Gayle Forman, David Levithan, Rainbow Rowell, Stephanie Perkins) while the rest were authors I’ve either read and liked or whose works I was interested in reading some time. So yes, you could say I was compelled and excited to read My True Love Gave To Me. I read it from Christmas eve day to the day after Christmas, which honestly took longer than expected. While I really liked it overall, the book did have some highs and lows. Midnights by Rainbow Rowell was such a perfect starter. I flew threw through the pages and just loved every bit of it. Not only did it have my favourite kind of romance, the one that starts out as friends, but the chemistry between Mags and Noel was wonderful and charming and swoony. The Lady and the Fox by Kelly Link was completely frustrating. I did not get the point of the story and was completely irked by the romance. I liked it least of all- scratch that, I didn’t like it at all. Honestly, if I could go back in time, I’d just skip this. Angels in the Snow by Matt De La Peña was a really pleasant surprise. The main character, Shy and his love interest, Haley, had such authentic voices. I really liked how relatable they were and also how they connected with each other. I’d love to read more of Matt De La Pena. 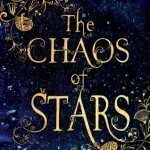 Polaris Is Where You’ll Find Me by Jenny Han had elves. The whole concept would have been so fun and interesting if Natty didn’t sound so monotonous. The characters felt very flat to me and that pretty much took out my enjoyment of the story. I’m rather disappointed because I usually like Jenny Han’s work. It’s A Yuletide Miracle, Charlie Brown by Stephanie Perkins was absolutely freaking adorable. 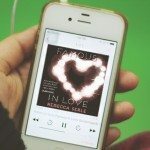 As one of my favourite YA romance authors ever, Stephanie didn’t fail to deliver. 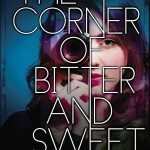 The banter, the fleshed out characters- her short story made me fall completely in love. I wanted more North and Marigold! Your Temporary Santa by David Levithan was simple, quirky, honest and thoughtful. I wouldn’t expect anything less from David. The story might feel short, abridged and quite underwhelming to others (especially those unacquainted with the author’s writing style) but the sentimentality worked for me. And yeay for an LGBT couple! Krampuslauf by Holly Black was weird. For me it was a mixture of depressing, strange, baffling, a little inspiring, but mostly still weird. Usually, I’d really appreciate the peculiarity of the concept but the story was… did I say weird already? What The Hell Have You Done, Sophie Roth? 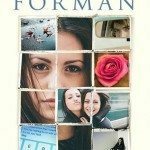 by Gayle Forman was awesome. I laughed/giggled some because yeay witty conversations! Loved the romance and really related to Sophie’s troubles regarding college. Also, loved how diverse the characters were and how this allowed me to learn a little more about Hanukkah. Also, the ending was just super sweet and lovely. Beer Buckets and Baby Jesus by Myra McEntire was lighthearted and amusing. Admittedly not outstanding, but not so bad either. 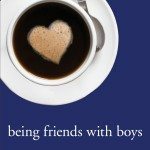 Mostly an okay story about redemption and also how to get the girl. Welcome To Christmas, CA by Kiersten White had me teary-eyed. I wasn’t super sold with the romance at first but then it grew on me eventually. I have to say though- the family/home theme and the character growth of Maria was so moving and heart-rending. I totally didn’t expect that. I was blindsided and I loved it. Really loved it. Star of Bethlehem by Ally Carter was likeable. I feel kind of partial about it because it wasn’t that striking and was kind of corny when you think about it but it was heartwarming still. The romance could’ve been better though. The Girl Who Woke The Dreamer by Laini Taylor was dragging. I’m so going to get a beating for this from Taylor fans but I was kind of bored. The writing is imaginative and vivid and those last lines were pretty stirring but the story didn’t engage me so much. I’m a little let down because this was my first time reading Laini Taylor and I really wanted to like her story. Despite my very mixed opinions on the separate short stories, My True Love Gave To Me was still an enchanting YA winter romance anthology. A lot of the stories were really fantastic and just brilliant and pretty much worth taking a chance, whether you like the rest or not. 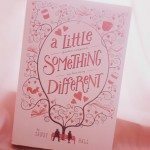 So if you’re looking for some holiday spirit or maybe a cosy romance in the midst of the cold winter, do give this a read! HAZEL YOUR NAILS I’M DYINGGGG. I read this one recently and I have to agree with a lot of your thoughts. Rowell’s story was SUCH a great starter! And no worries, I think a lot of people though Link’s story was pointless and completely weird. I loooved Matt’s story too, I was really surprised! And I totally agree with you on Laini Taylor’s story, too. I didn’t think it was THAT great. I kind of wish the anthology ended with Perkins’ story, to be quite honest. 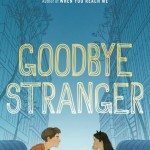 An overall pretty good anthology, with highs and lows. Lovely review! I have that copy, as well!! Isn’t it beautiful?! I fell in love with the hardcover and the golden ribbon and the PINK PAGES! Love the review! I pretty much thought the same as you! I agree with you on Midnight and The Lady and the Fox. That romance was ick! Strange to say the least. Welcome to Christmas, CA was adorable:) Happy New Year! I wan to read it! I loved this anthology, and while I know a lot of people have, like you, had mixed thoughts about it, I actually didn’t dislike any of the stories! Admittedly, I liked some more than others, and there were a few that felt a little rushed at the end, like they could have been a better fit in a longer format…but on the whole, I enjoyed every one for varying reasons. I did have my favorites, though–Midnights and It’s a Yuletide Miracle, Charlie Brown were both cute and romantic and heartwarming and sweet, and I actually adored The Girl Who Woke the Dreamer because I thought it was so enchanting and I find Laini Taylor’s prose to be stunning. All in all, I was really pleased with this anthology, and I’m glad you liked it on the whole, too, even if some of the stories weren’t quite your thing! I really liked “My True Love Gave to Me” overall, though I was disappointed in Kelly Link’s story and not overly fond of David Levithan’s either. I’m a little sad you didn’t enjoy Laini Taylor’s story, as it’s one of my favorites in the anthology, but I can totally understand why! Still, it’s such a delightful set of stories (mostly), isn’t it? Hi, Hazel! I’m Shiely Anne, from the Philippines too. I just want to ask if is it okay to you to give me the ISBN of that book. See, I am planning to buy this version from The Book Depository (the UK edition, the one in blue cover and pink-sprayed pages) but as of now they are out of stock. So I *pre-ordered* it and now The Book Depository is asking for the ISBN of the book. Please please help me and just send me the details in my email: pinkish1997@gmail.com. Thank you! !